I started out in real estate by taking photos of homes for listing agents. One day the Russ Donahoo Team approached me about getting my license and working in their office as a showing assistant/licensed assistant. It's not a career that I would have picked for myself but every single day I am so thankful that it fell into my lap! I got my license in March of 2016 and have loved every day since. I enjoy coming to the office each and every day and I am proud to be part of such a high integrity real estate team! *I contacted Jenni Hughes, early in summer 2017, about us finding a house in Idaho Falls. We were only going to be able to physically come from CA to ID for a few days, so great planning was a necessity. We are so fortunate to have found Jenni. She was super friendly and knowledgeable and always contacted us with answers to all of our questions. She understood what we were looking for and our budget and time constraints, so she worked hard to line up only such properties as were a fit for us. What a relief! When we got to ID and finally met in person, meeting Jenni was like meeting an old friend, whom you felt so glad to see again. She had the days all planned out, in order to make best use of our time. She was not pushy at all, but merely was ever available, in every property, to answer our questions and discuss our possibilities. She seemed to truly want to find the best fit for our family, and not the best sale for her offices. Although, working with Jenni, turns out to be great for both - which is rare - but what it should be - with a win/win situation for both the client and the agent. That is why I would take time to write a review. 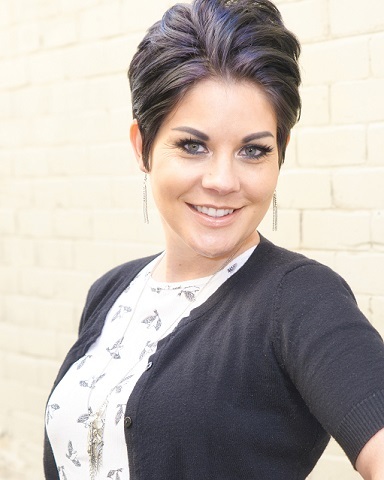 If you are looking for a realtor who listens, follows through and is willing to wade with you through mires of properties, in order to find the right one for you, I cannot recommend Jenni Hughes enough. When we finally found ‘the one’, we met Jenni at the office and were introduced to Rebecca who was unfailingly kind and patient walking us through all of the paperwork. Rebecca is an asset to the office. She was a calming presence amidst all our fears and made sure we understood everything we were signing. It was like we could take that big deep breath and know all would be okay. And I’m happy to say it is! We are now proud homeowners in Idaho Falls. Do not hesitate to give Jenni or Rebecca a call if you need help finding your next home. Highly Recommended. *The Russ Donahoo team is spectacular! Jenni did a fabulous job taking the pictures for the house we listed and Becca was always there to answer questions. Best of all, they all became friends with us. They put up with our fussiness which says a lot! We used Russ's trailer for one week while we moved. We love our new home! Thank you all so much for your hard work and dedication. It made a the process of buying and selling a home enjoyable!